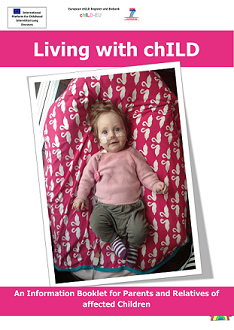 Home » chILD-EU Register » Services » Information booklet "Living with chILD"
In view of the rarity of Children’s Interstitial Lung Diseases – chILD, there are only a very limited number of doctors significantly familiar with them, especially in terms of diagnosing and treating them. A search of the internet for further information unfortunately is more troubling than beneficial. Frequently people develop anxiety, fear or melancholy when trying to deal with these chronic diseases, because of the limited knowledge about them and their causes. With aid from the European Union, an international expert panel has been formed, that has set the goal to correct this situation. An additional goal is to place the needs of the children afflicted with these diseases and their families first. This booklet is only a single building block in this project. Of course, it cannot replace the need for talking with your child’s treating doctor. Rather, it is intended to provide supplementary information regarding the condition of your child.